There’s no better way to demonstrate your love than by giving a ruby in celebration of a July birthday. Rubies arouse the senses, stir the imagination, and are said to guarantee health, wisdom, wealth and success in love. Ruby is a variety of the gems species corundum. It is harder than any natural gemstone except diamond, which means a ruby is durable enough for everyday wear. 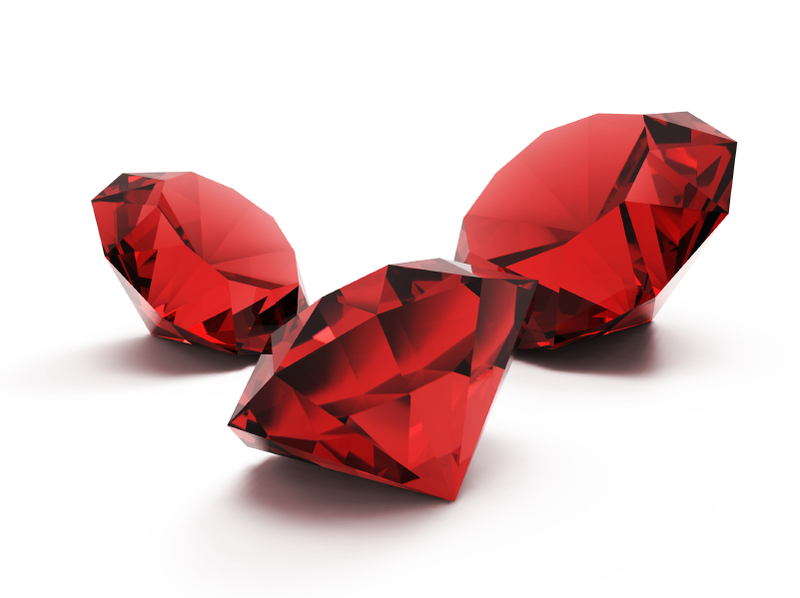 Fine-quality ruby is extremely rare, and the color of the gem is most important to its value. The most prized color is a medium or medium dark vivid red or slightly purplish red. If the gem is too light or has too much purple or orange, it will be called a fancy-color sapphire.